5 ways to rock your hair this summer. Summer period is a high time to think beyond your casual hairstyle. Summer parties, weddings, garden parties, lunch out with girlfriends in an open air cafe or a quality time at the beach - all these are more than perfect reasons to try something new in terms of hairstyles or upgrade your favorite one with interesting details and twists. No doubt natural hair flow and a simple ponytail, high or low, is so casual and a matter of few minutes. But even such super easy hairstyles can be twisted and turned into something extraordinary. Didn't you ever want to become a sort of a Greek goddess or an Eastern beauty? Or maybe a hippie girl or an elegant lady from around Cannes? It's easier than you think. Such a classy yet feminine way to style your gorgeous hair. One braid or two or more will aways be a good idea no matter the occasion is. Well, zillion of little braids will turn you into Alicia Keys from the beginning of Millennium, unless that's what your plan is. But for a more feminine look you better go for less braids. For a more tender and special look upgrade braid with interesting hair clips and hair pins. An up-do is such a summer thing to protect your hair from sun (to some extent) and leave more space for proper tan. A bun, low or high, and rolled up hair give a sense of elegance and temperance by turning you into a diva with lady-like attitude. Just like in a case with braids this types of hairstyles can be upgraded with some hair pins, as well as hair pins and bun pins. There's a huge room for your imagination. Straight hair or natural flow can get a little summer twist if you pin hair locks with something minimalistic or, on contrary, something shiny. 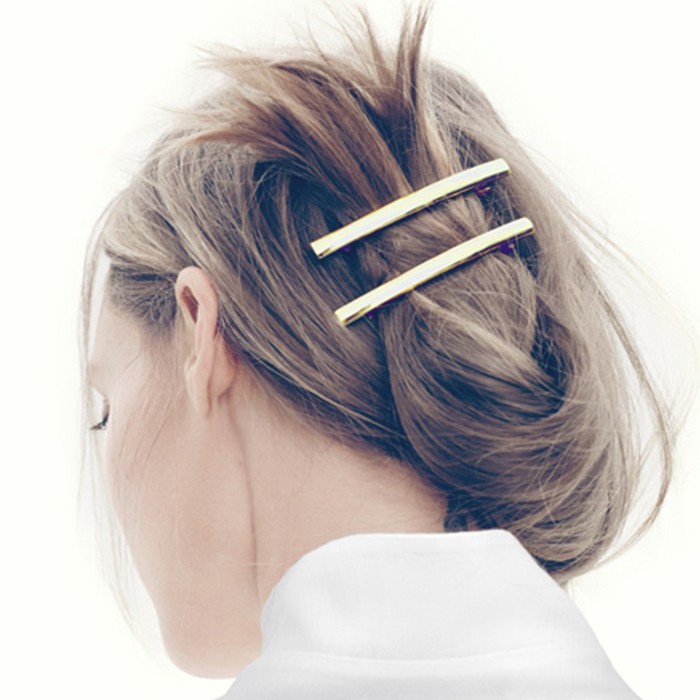 Hair slide is another interesting idea for you loose hairstyle, it's something that can add a romantic touch to your look (it can also be used for an up-do styles!). Eastern diva's crown is an ITEM of the season. It's official now - flower crowns faded and are now replaced by such metallic head crowns. Eastern vibes, also referred as Orientalism, are on the new rise wave. And I personally can't be more happy about it as it's an ultimate hair accessory that can turn your look for 360 degrees. Let's have an Eastern diva moment together! Dropping a scarf over your head is so much of timeless classics. Plus there's like 99 (or more?) different ways to tie a scarf on head. Just have some good research over the Internet with an endless number of tutorials and ideas how to tie it. It's pure magic and art. So take all scarves you have out there in your closet and play around it. It's a hair accessory with double benefit - super fashionable and it reduces chances for you to get a sunstroke.